Kōnosuke Uda is the special's chief director, while Tetsuya Endo (Saiyuki Reload) is directing the special. Tomohiro Nakayama is penning the script. Masayuki Sato (One Piece Film Gold, One Piece Film Z) is designing the characters. Yūsuke Isouchi is the chief animation director, and Yoshito Watanabe (One Piece Episode of East Blue: Luffy to 4-nin no Nakama no Daibōken) is the art director. 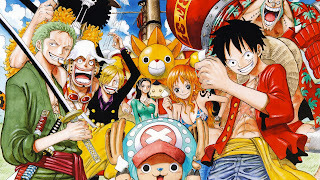 The special will air on August 25 on Fuji TV from 9:00 p.m. to 11:10 p.m.
One Piece has had previous "Episode of" specials, such as: One Piece Episode of Nami: Kōkaishi no Namida to Nakama no Kizuna (2012), One Piece Episode of Luffy: Hand Island no Bōken (2012), One Piece Episode of Merry: Mō Hitori no Nakama no Monogatari (2013), One Piece "3D2Y" Ace no Shi wo Koete! Luffy Nakama to no Chikai (2014), One Piece Episode of Sabo (2015), and One Piece Episode of East Blue: Luffy to 4-nin no Nakama no Daibōken (2017). Crunchyroll and Funimation streamed "3D2Y," "Episode of Sabo," and "Episode of East Blue" as simulcasts.